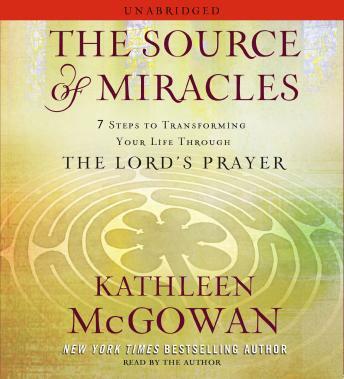 From the New York Times bestselling author of The Expected One and The Book of Love comes a transformative book that unlocks the hidden power of the Lord's Prayer -- the prayer that can be recited by every Christian in the world. The real secret to creating and sustaining an abundant, joyous, and fulfilled life has been hiding in plain sight -- in the power of the prayer that unites two billion Christians worldwide, the prayer that each one of them knows by heart. In her bestselling fiction, Kathleen McGowan has popularized the world of Christian esoterica, a unique place where New Age and Christianity meet, making ancient teachings new and powerful. The Source of Miracles harnesses the wisdom of those traditions at a time of great material and spiritual uncertainty, when the need for signposts on the road to success has never been more acute.